I have a problem about webui in IE browser. 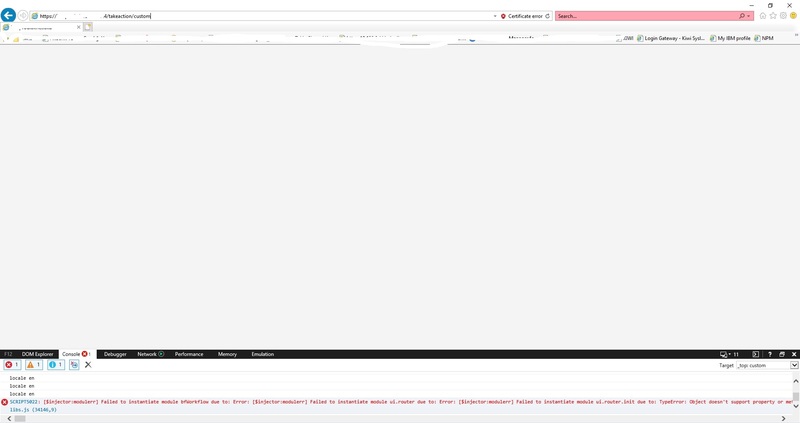 When I want to deploy an software package , client list doesnt shown. This problem is on only Internet Explorer (Version 11) . Chrome , mozilla and Edge browser don’t have this problem. Maybe some policies affecting this problem. After clicking deploy button client list doesnt shown. You can see the screenshot and console errors. anoyone seen this problem before ? which policy or setting cause this problem ? 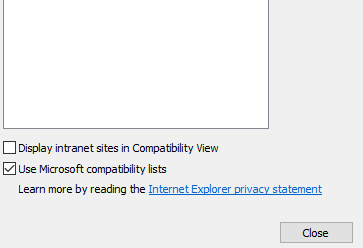 This may happen if you have “Compatibility View” enabled for this site in Internet Explorer. Go to the tools menu (or the gear icon) in Internet Explorer, going to “Compatibility View Settings”, and remove the webui server url from the list. i checked, there is no compatibility view setting for webui url. I do not know if your domain is included, but as your screen capture indicates, Microsoft compatibility lists still applies. And your administrator may have set compatibility mode URL via group policy. When you open the Emulation tab in the debugger, what is the document mode? i will let you know when we tried windows admins set our url. In document mode , " 11(default)" is selected.